Say Cheese: Brie and Chive Baked Cheesecake Topped With Figs! This recipe turns the notion of a sweet cheesecake on its head. 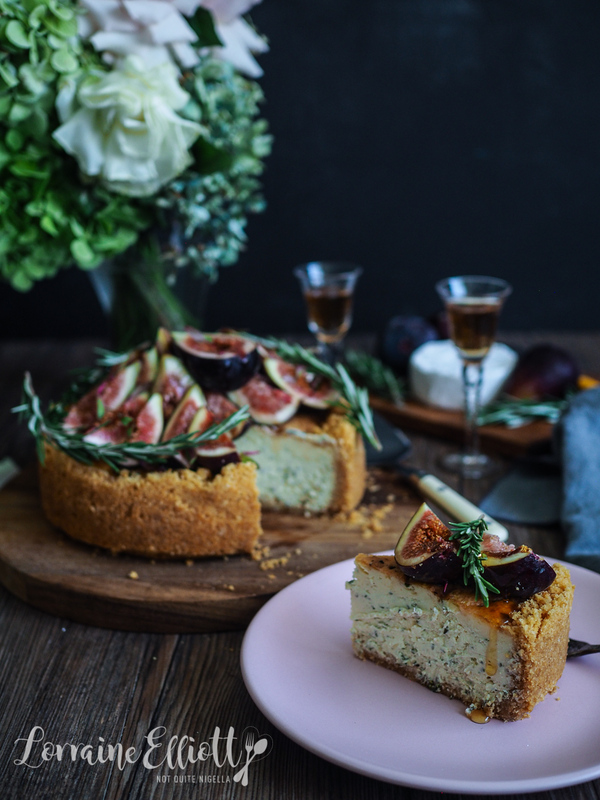 This savoury cheesecake is the perfect lunch or entertaining dish. 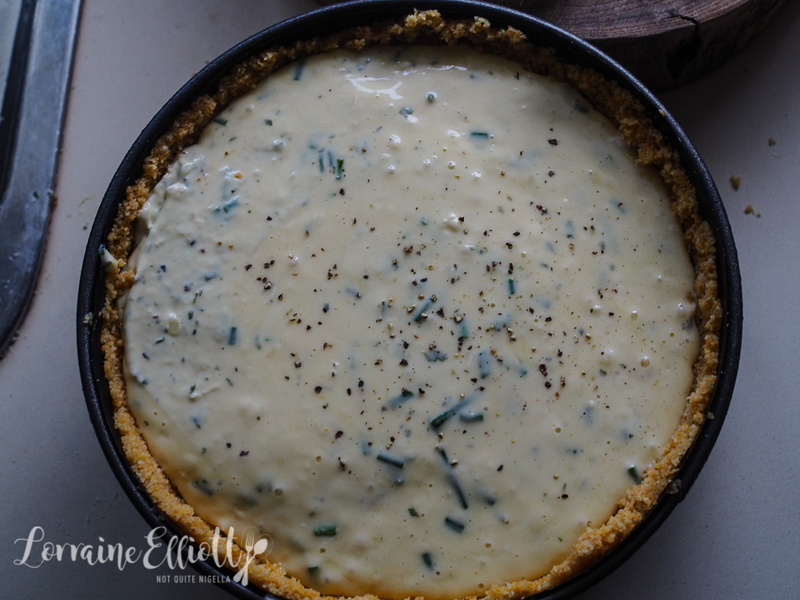 Simple to make, it combines spring onion and chive cream cheese with triple cream brie in a cracker crust. 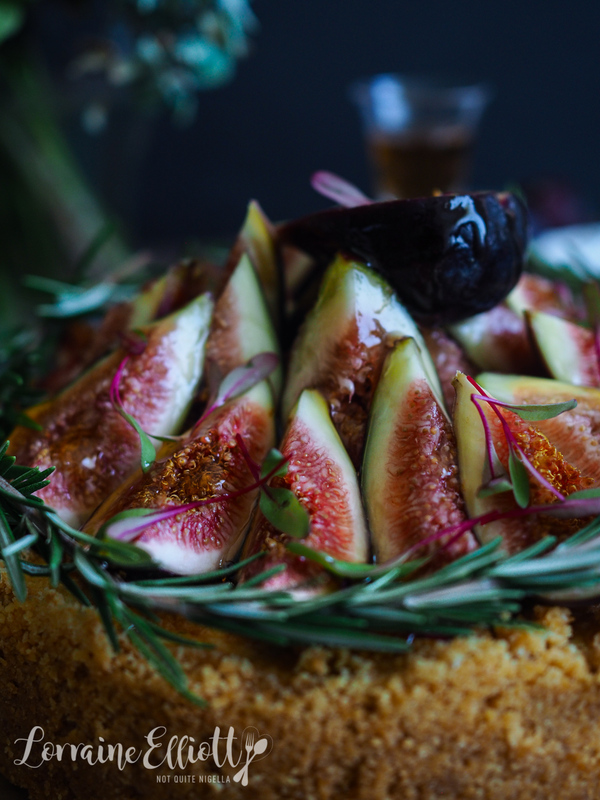 Plus the figs on top give it a final flourish. And Dear Reader, this is the perfect recipe if you love cheese! Every time I make a cheesecake I am always struck by how easy it is. There's no creaming or worrying about rising and if you bake it at a lower temperature you don't even need a water bath. And this one came together so much quicker than I thought it would. The crust is the most time consuming part but it was made easier thanks to how easy the crackers are to pulverise. It does need a bit more butter to hold it together than a sweet cookie base but it takes more time to do that than the filling itself. 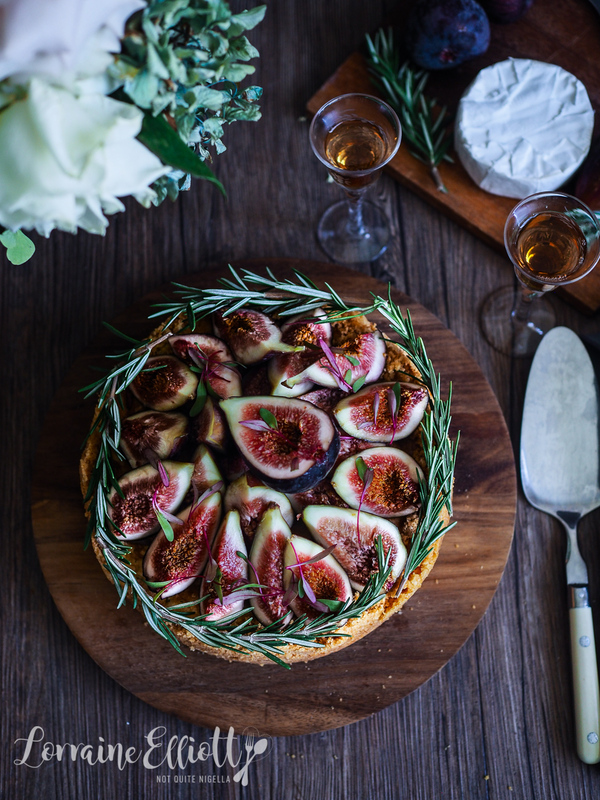 And if you don't like the sound of doing the crust just bake the filling in a tin, cool and unmold and serve it for guests with crackers on the side - I am bringing this along with me to a picnic. I used two different types of Woolworths cheeses in this - the spring onion and chive cream cheese was a given because it was pretty much everything that I needed in one. I also used some Woolworths triple cream brie as well but you could also use the camembert or double cream camembert. You just whizz them up in a food processor with parmesan and eggs and that is it! I promise it won't crack if you follow the recipe and use room temperature cheese and eggs and cool it as instructed. This is recipe for you Dear Reader if you prefer salty over sweet. And despite the fact that I bake so many cakes, I actually do prefer savoury and crave it more often than I do sweet (but that doesn't mean that every day I don't want to finish with a spoonful of peanut butter or some chocolate). 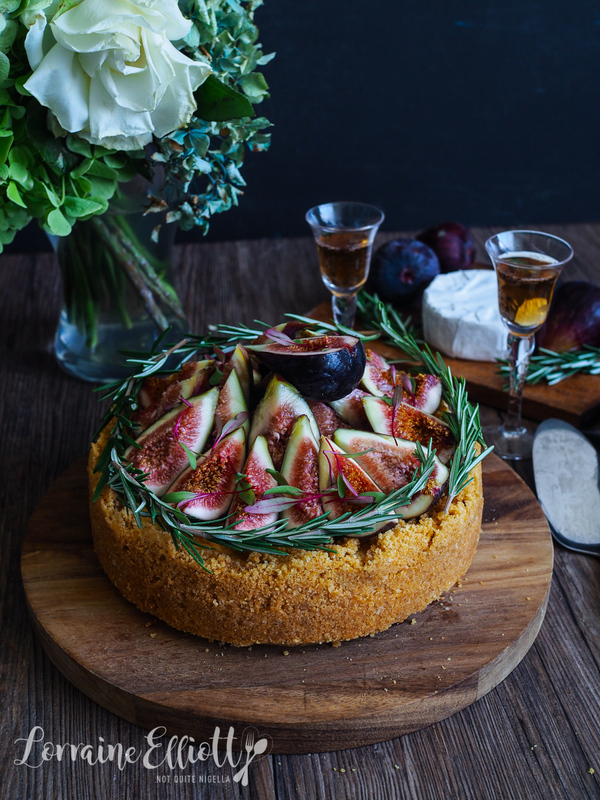 But this cake is perfect for lunch or a picnic. I'm taking this "cake" to a picnic with the Elliotts. The last time we saw them was when we bumped into Mr NQN's sister Araluen and her daughter Aura who were coming back from a bike ride. They live on the floor below Tuulikki. We were in the driveway about to drive off. "Look at you," said Araluen pointing at me behind the wheel driving. Araluen had wanted to get her license for many years and we were both considering getting them around the same time. She hadn't come any closer to getting one and I encouraged her to get her driver's license. I told her how easy it was and how in the matter of a few years I was a confident driver and it had changed my life. After 10 minutes or so of chatting we had to go and we waved her goodbye. And that Dear Reader is when I demonstrated how uncoordinated a driver I was. The parking brake in our car is on the left and it is a pedal that you press down on with your foot. It sits next to the brake and accelerator. And instead of pressing down on that with my left foot I pressed down on the accelerator firmly causing the car to make a loud revving sound because the car was still in park. Aura Lily and Araluen jumped back and Mr NQN stared at me with absolute alarm. "What did you do???" he asked shocked. As for me, I knew what I had done within a couple of seconds and could not stop myself from laughing especially since we had been talking about my driving accomplishments. I was doubled over the steering wheel with tears of laughter running from my eyes. My stomach hurt from laughing so much that I didn't trust myself to drive. So we dribbled along the long driveway at 5 kilometres an hour and I could hear Araluen's laughter in the distance. I got a text from Araluen shortly after, "Aura just said, "No offence but you'd probably be a worse driver than that..." which made me laugh even more because I don't know if that would be true. So tell me Dear Reader, which do you prefer: sweet or savoury? And are you a good driver? 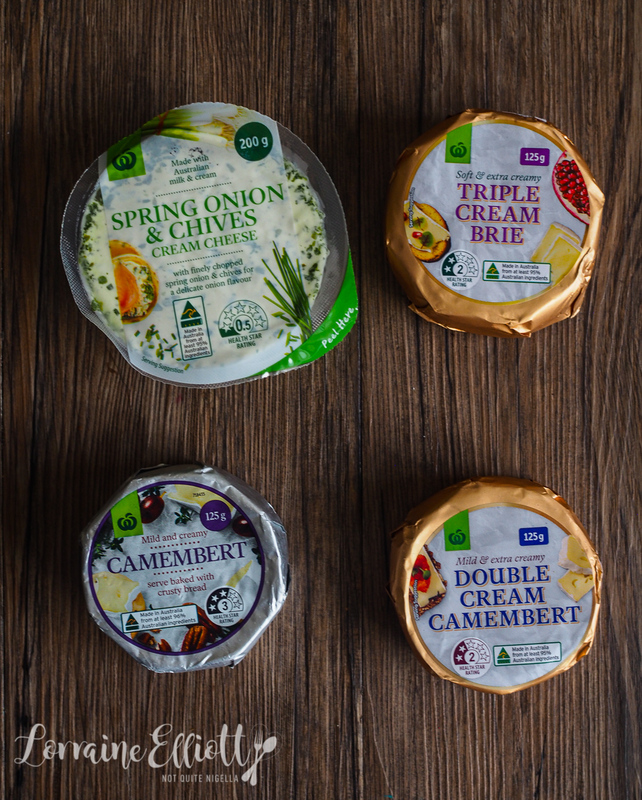 Do you have a favourite cheese? And are you as excited as I am about fig season? Step 1 - Preheat oven to 140C/284F. Process the crackers until very fine in texture. Empty into a bowl and mix with the melted butter. Line a 20cm/8inch springform tin on the base and sides and press the mixture into the base and sides. Freeze until needed. Step 2 - Blend the cheeses together until smooth. 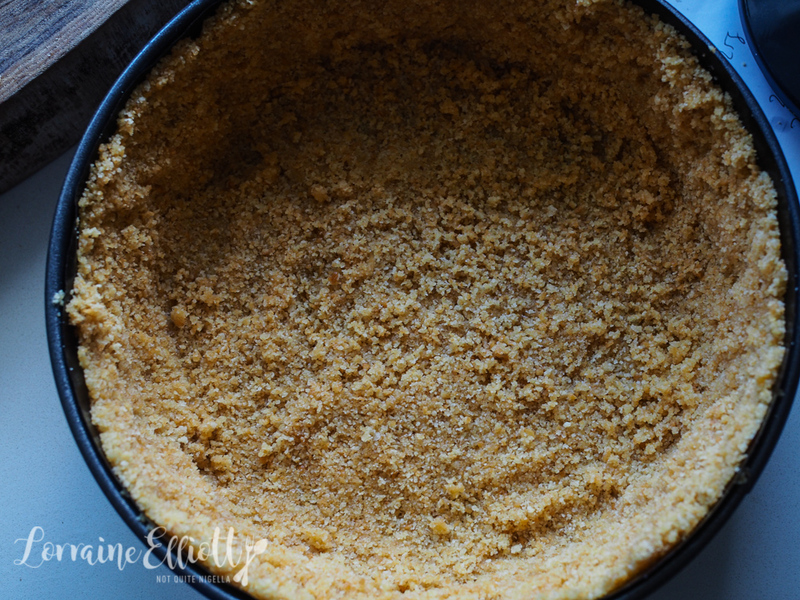 Add the eggs and blend until just combined and then spoon into the prepared tin. Grind some black pepper on top. Bake in the oven for 1 hour or until the centre is set. You don't need a water bath for this. When it is cooked, turn the oven off and let it cool slowly in the oven. 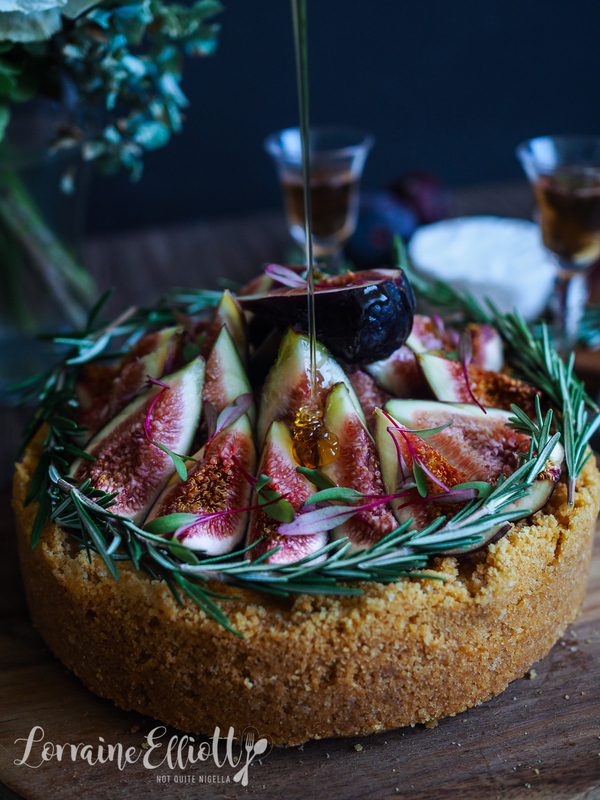 Step 3 - Decorate with figs, rosemary and honey. recipeEat Your Vegetables With This Leek, Cheddar and Broccoli Quiche! recipeCheese Tease: Three Cheese Stuffed Rigatoni Pasta Cake! 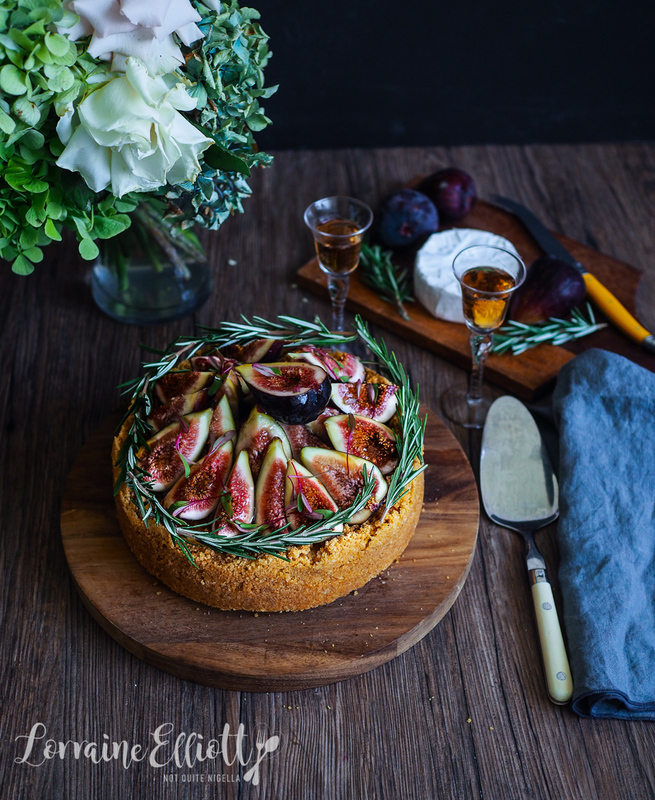 featureMade From Scratch: Mascarpone Cheese & A Feature In The Foodies Guide to Sydney 2010! recipeThoroughly Addictive Cheese "Stamp" Crisps! recipe Eat Your Vegetables With This Leek, Cheddar and Broccoli Quiche! feature Made From Scratch: Mascarpone Cheese & A Feature In The Foodies Guide to Sydney 2010! recipe Thoroughly Addictive Cheese "Stamp" Crisps!